Staff at the stores of Irish fashion designer Orla Kiely reportedly left in tears after being told the company had gone into liquidation. Ms Kiely - whose brand is a favourite of the Duchess of Cambridge, Kate Middleton - closed the shutters on three stores for the last time on Monday. The company went into creditors' voluntary liquidation, having become insolvent. Three Orla Kiely stores, one in the Kildare Village shopping outlet and two in London - Covent Garden and King's Road - closed down. UK media reported that staff from one of its London stores were visibly upset following the closure. A spokesperson for Kildare Village confirmed the closure and said they are in continuous contact with Orla Kiely. In a statement yesterday, the company said the voluntary liquidation came due to "various challenges" in recent years. "Having carefully considered the options, the directors of Kiely Rowan Plc have concluded that the business should be placed into creditors' voluntary liquidation following various challenges that have faced the company over the past few years, both in the UK and abroad," it read. 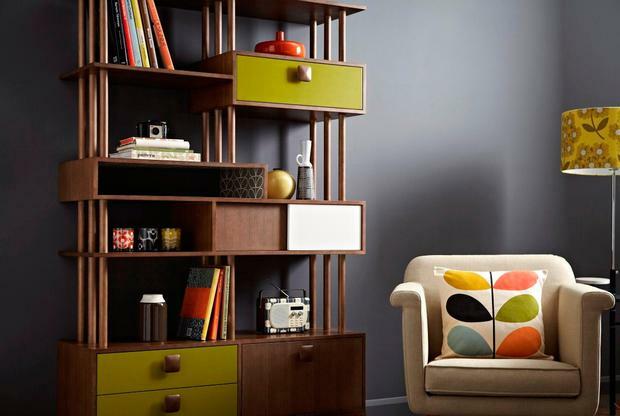 It added that the Orla Kiely home and design licensing will not be affected and accessories and homewares will continue to be sold through distribution partners. Paul Appleton of David Rubin & Partners has been appointed to handle the winding down process and liquidation of the company. Many women brought their love of Orla Kiely into their homes and highly prized were her mid-century inspired furniture pieces. According to its most recent financial statement for 2017, the company employed 56 staff across design, administration, production, warehouse and online. It's understood six of these staff were employed in the Kildare Village outlet store. The store is no longer listed on the Kildare Village website. In the 2017 financial year, remuneration paid to directors was listed as €408,064, an increase of €2,775 on the previous year. Despite turnover at the company increasing by more than €1m on 2016, its profit after tax dropped by around 25pc to €83,662. Among the risks and uncertainties listed in the statement was Brexit, given that the company is based in the UK. "The company is affected by movements in interest rates and also changes in foreign currency rates," the strategic report said. "To reduce this we continue to expand into global markets where appropriate. Exit from the EU continues to have an effect on confidence and exchange rates." Staff at stores close to where Orla Kiely was located in Kildare Village say the closure was a surprise to them, and that they heard about it online. However, it was understood to be business as usual among the other retailers, who expect a new store to replace it.